Tips to Engagement Generated Content & SEO | URimagination, Inc. I am of the opinion that website publishers need to differentiate or die. Earlier this year, I discussed some ways to differentiate in The Importance of Differentiated Content. One great option is to obtain lots of user generated content (UGC). Easy to say, but often not easy to do. Today’s column will go over some of your options. UGC is very helpful for differentiation because it can add a layer of valuable content to your site that your competitors don’t have. Of course, don’t simply slap up any old blocks of user generated content for the sake of having it. Take the time and effort to figure out what content will add value to the user experience on your site. Adding UGC to your site should be about engagement, not about adding blocks of text. Google’s Panda update made it more obvious that user engagement is a SEO ranking factor, and I expect the influence of engagement metrics to grow. As an added bonus, you can see what language real people use to describe products like yours. One of the first things you should consider is leveraging the traffic you already have on your site. This can provide a lot of valuable content very quickly. 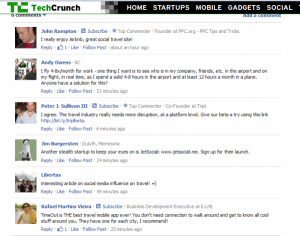 Techcrunch does this very successfully as they get lots of comments on their posts. Creating UGC in this fashion requires that you already have a substantial level of traffic. Facebook Comments provides a certain amount of natural anti-spam protection as you need to be logged into your Facebook account to use it. This certainly gives users with real accounts an incentive to avoid being a spammer with their accounts. Likewise, Facebook has a strong motive to remove bad accounts as well. 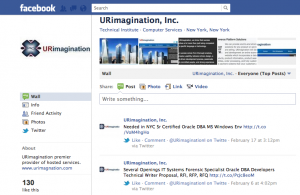 As of November 2011, it became apparent that Google is indexing Facebook Comments. This is good for SEO as it means that all the great content being created on your site is now credited to your site. Other popular platforms you can incorporate on your site include BazaarVoice and PowerReviews. These are platforms for incorporating customer reviews on your site. This is a great way to capture content, though I have not yet seen any evidence that Google is indexing this content as yet. If you know of any proof of that, please let us know in the comments. A poll is not going to give you reams of text on your page, but reams of text is not the goal here – added value is. 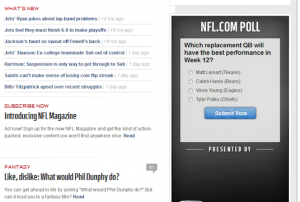 Relevant polls do a great job at increasing user engagement with your site. If you have brick and mortar locations, you can also leverage your foot traffic. Ask people that come into your store to fill out a short survey. This is an awesome strategy, because you can provide them with a small discount as an incentive, which may directly increase your sales, and you collect some great data that you can publish. Design your survey to collect data that is relevant to visitors to your website. One idea is to have them write a review for your product. If you have built a strong following in a social media community, such as Facebook, Twitter, or Google+, you have another ready made audience to leverage. Building these communities is pretty easy for companies with strong brands, but harder for those who are less known. I won’t cover how to build such an audience here, other than to say that building a strong social media presence can be hugely valuable. One more quick tip: if your resources are limited focus on building one large audience on one platform instead of medium sized audiences on multiple platforms. A total of 109 comments is not bad, and gives them a nice set of data to make use of on the site. Another idea is to try the top 10 tips for using one of your products. This could collect some great data for you. If you don’t have an audience yet, and you want to do something right away, consider making use of Facebook ads. Once again, polling of some sort works well here. Use the targeting feature to reach the right audience. You may need to play with this a bit to get this right. Remember that a pretty small percentage of the audience numbers you see when setting up your ad will respond to your ad – less than a tenth of a percent. Refresh the ads, and change the positioning of the poll, regularly. When someone sees the same ads more than once their chances of responding go way down. But, if they did not respond to the first one, they might to the second. Experiment with different polls over time. It may take you a while to get ones that play really well in front of the audience you target. If you don’t have strong traffic on your site or a large social media audience, one of your options is to make use of Facebook ads, but you have other options as well. Consider using Amazon’s Mechanical Turk (MT). The labor here is incredibly cheap, which may cause you to worry that the workers on MT are not the right group to provide UGC for your site. Data published by NYU on Mechanical Turk Demographics shows that 70% or more of the participants are based on the US, and 35% of them have income of $60K or more (as compared to 45% of the general US population). MT also allows you to specify US only participants. There are any number of ideas you can try. Let creativity reign! The main thing that you can’t do is collect personal information. This is strictly forbidden on Mechanical Turk, and if you try to do that you will get your task pulled down quickly. Repeat offenders get their account suspended. 3. Put together a charity campaign for a non-profit related to your space. Pay them for each response obtained for your survey or poll received from their member base. Put the participants in a drawing to win a nice prize. As I noted at the beginning, remember that it is about engagement not globs of text on your pages. The hardest task is to come up with ideas that fit your audience on your site. Stuck for ideas? Take some time and poll your audience for ideas, or use Facebook ads or some of my “Creative Ways to Get Data” and poll those folks for ideas. Take your time and get the ideas right first. Once that is done, there are plenty of ways to then go collect lots of data samples and get engaging content for your site.